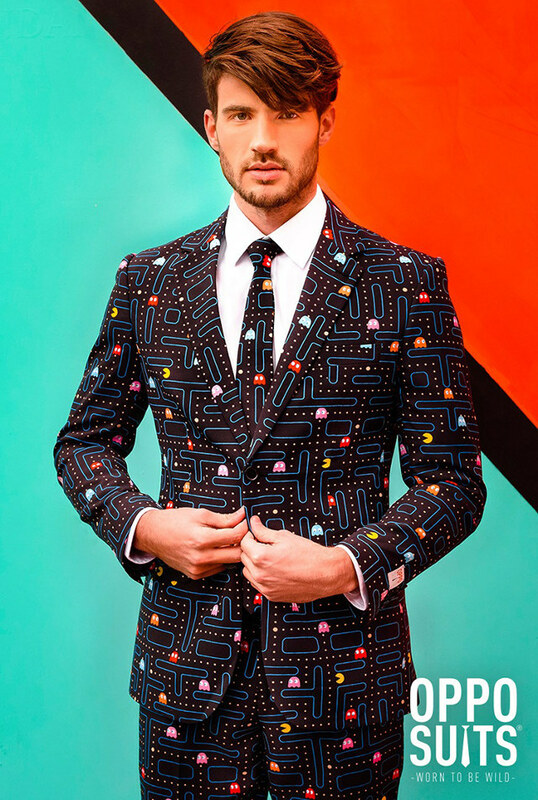 Nothing says you’re a serious professional who knows how to kick it in the weekends than showing up for your interview in an officially licensed PacMan suit, from OppoSuits!. Some might find it tacky and tasteless, we say it’s all in how you wear it. Just maybe don’t go around the office saying Waka Waka. It’s $110, and completely out of stock at the moment. By Hazel Chua on 03/11/14 • Leave a comment! The Doctor isn’t one to run from a fight, but he’s smart, so he’ll run if he has to. Like in the Doctor PacMan game, for example. 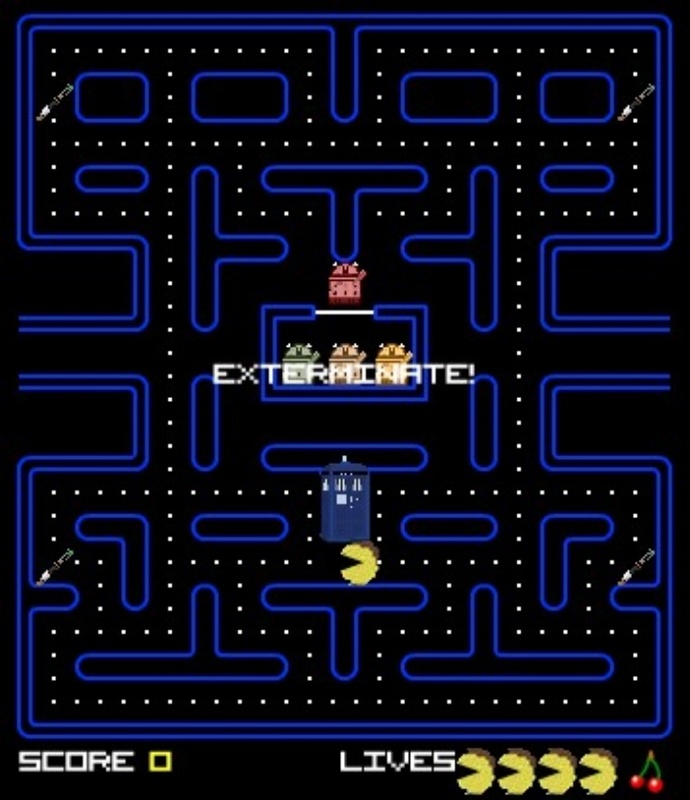 It’s essentially PacMan injected with Whovian elements, where the usual yellow dot-chomping dude is transformed into Doctor Who with the addition of a messy mop of hair and a pixelated bow tie. Instead of the usual ghosts, ghastly Daleks (that’s Caan, Thay, Jast, and Seec, if you’re curious) are chasing Doctor PacMan through the labyrinth, where the occasional sonic screwdriver will turn the tables and have the Doctor chasing after them instead. The game was made by Ruben P. Vargas from Rarity Workshop and you can play it HERE. Immerse yourself in playing your video games like never before with Katamari Damacy creator Keita Takahashi‘s awesome gaming exhibit that’s currently being displayed at New York’s Museum of Art & Design. 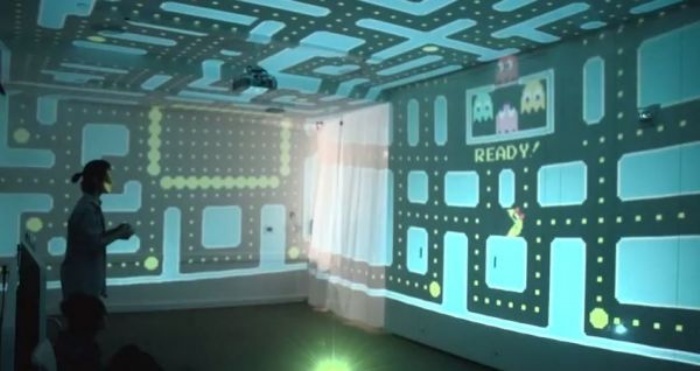 You probably never imagined that you’d get to play your favorite classics like Ms. Pac-Man and Mario Brothers in 3D while the entire screen takes over the entire room, right? It’s a gamer’s heaven, and it’s unfortunate that you can’t take it home with you. If you live in NY or happen to be visiting someone in the area, then drop by the Museum to check out Takahashi’s exhibit. Check out a video of the awesome room-wide gameplay after the break. By Hazel Chua on 08/27/12 • Leave a comment! 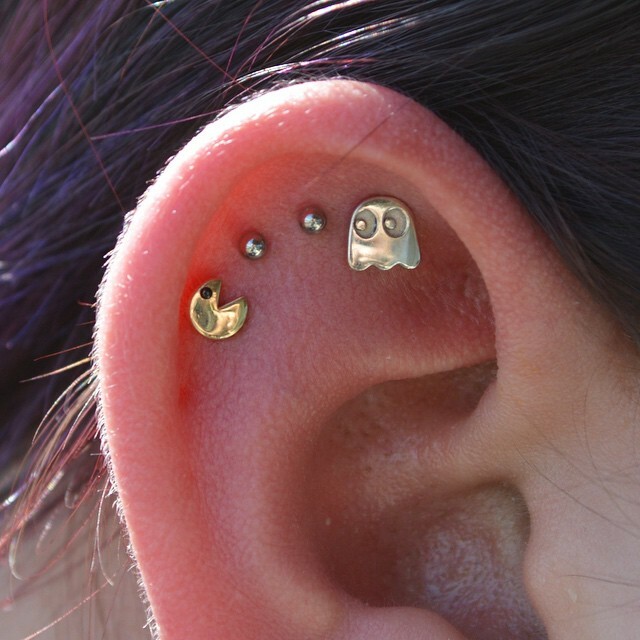 Pac-Man has been around for decades. He’s one of those characters that people of all ages and generations can recognize, right off the bat. 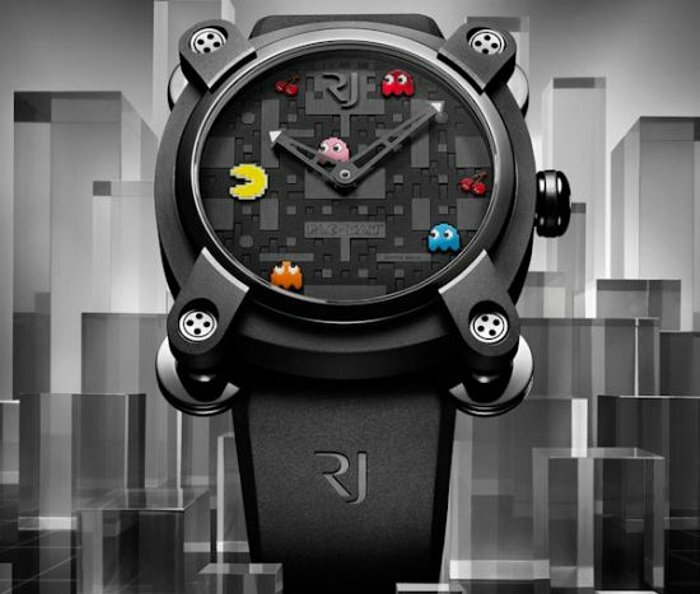 So it really shouldn’t come as a surprise that Pac-Man himself and the four villainous Ghosts who were always after him have now been immortalized in Romain Jerome’s special collection of limited edition space watches. And we do mean a ‘space’ watch in the literal sense, because these timepieces are forged using steel that has been fused with fragments of the Apollo 11. You know, the spacecraft that took Neil Armstrong and Buzz Aldrin to the moon. Romain has kept the design playful but pretty classy at the same time, which is obviously something that’s not easy to achieve. The only downside is that this watch is crazy expensive at $17,800. That’s the price of several Rolex watches and then some. They’ll be available at Colette in Paris from September 3rd to September 8th, in case you can actually afford it. In that case, lucky you.